JERUSALEM (JTA) — The Jewish Agency for Israel will provide immediate financial assistance to hundreds of families throughout Israel whose homes were damaged by fires that swept the country. The announcement came hours after Israel’s finance minister, Moshe Kahlon, approved an allocation of about $650 per person for those who were forced to leave their homes and are unable to return. Over 1,000 homes reportedly were damaged or destroyed in the fires. A grant of $1,000 from the Jewish Agency will be provided to each family “to help them address urgent needs presented by the loss of their place of residence,” the Jewish Agency said Sunday in a statement. Funding for the grants will be provided by special contributions from the Jewish Federations of North America led by the Jewish United Fund of Metropolitan Chicago, Keren Hayesod-UIA and additional donors, the agency said. Local authorities, in coordination with Israel’s National Emergency Authority, will determine eligibility for the funds. The International Fellowship of Christians and Jews provided vouchers for food and clothing to the elderly and new immigrants displaced by the fire. On Friday, it launched an emergency telephone hotline operating in Arabic, Hebrew and Russian, providing the elderly and new immigrants with details about seeking help and giving volunteers a way to offer their help. 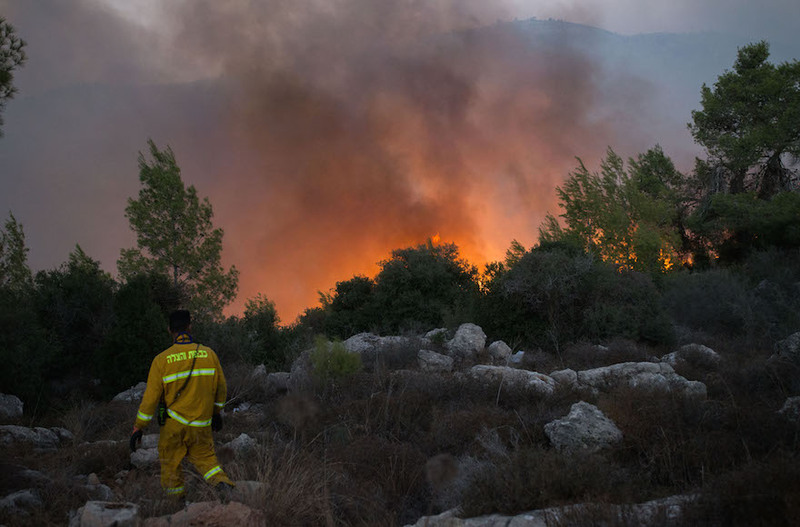 The Jewish Federations of North America opened an Israel Fire Emergency Fund over the weekend, with the funds designated to help Israelis displaced by the some 200 fires that have burned throughout the country. The Jewish National Fund also opened an emergency fund, with donations earmarked for new firefighting equipment and reforestation.